When artist, curator Beth Malone set out to create opportunities for artists to create what she calls "big art," by bringing artists together to transform the interiors of old, neglected buildings, she never imagined that the project would become an ongoing initiative with lasting economic impact in cities that include Baltimore, Detroit, Los Angeles and Atlanta. Beth Malone works to empower artists to ignite communities with their work. She is the founding executive director of Dashboard, a curatorial venture that encourages artistic risk-taking and immersive practice. The organization has presented award-winning exhibitions in cities nationwide including Atlanta, New Orleans, New York and Detroit. It has been a springboard for the careers of 125 artists and has received financial awards from: Robert Rauschenberg Foundation, Wish Foundation, Arthur M. Blank Foundation, Ford Motor Company Fund, and many more. Malone holds a Master of Letters from the University of Glasgow, Scotland, is a graduate of Urban Land Institute’s Center for Leaders and Arts Leaders of Metro Atlanta. She was part of the Ford Motor Company’s 2015 National Gathering of Innovators. Malone currently serves on committees at Forward Arts and the American Art Museum. Creative Loafing recently named her to their “Person to Watch” list. 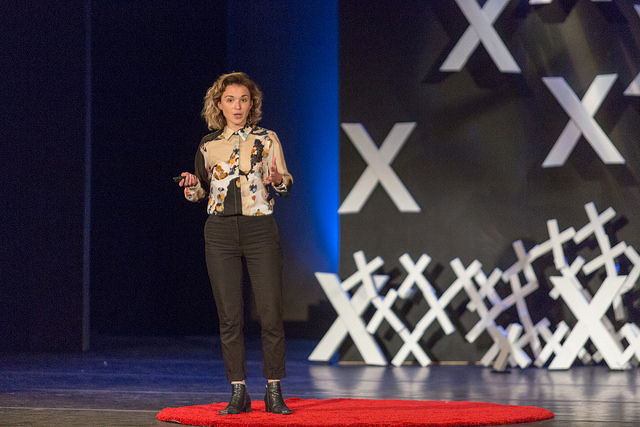 This talk was given at a TEDx event using the TED conference format but independently organized by a local community. You can also view the TED Talk that Beth delivered in June of 2017 by Clicking Here.